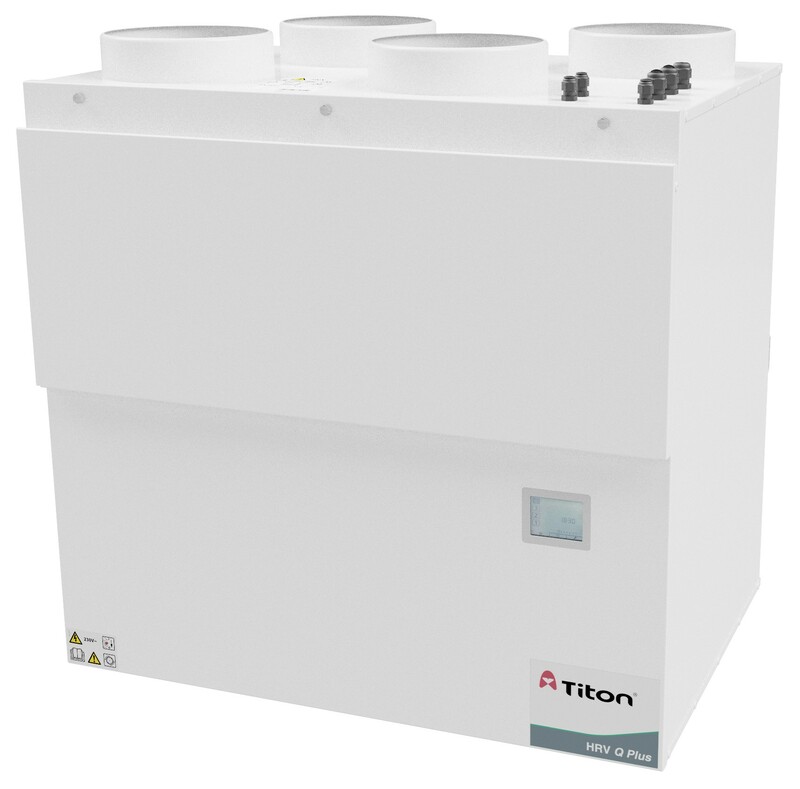 Titon has added the energy efficient HRV20 Q Plus to its range of MVHR products. With airflows of up to 194 l/s it is the most powerful MVHR unit the company has ever produced. The HRV20 Q Plus has been designed to enhance SAP performance via Appendix Q, by combining low power consumption and a heat exchanger capable of achieving efficiencies of 89%. As a result, units can easily be fitted as part of a ventilation system inside larger apartments or dwellings. The HRV20 Q Plus is available in two models – the Eco HMB and the Eco B – each boasting a 100% airflow diverting Summer Bypass, as recognised in the UK Product Characteristics Database. Intelligent humidity options are also available. The Eco HMB is fitted with the new aura-t touch screen controller, which is integrated as part of the unit itself as standard. The Eco B Model is compatible with the Eco aura range of controls (auralite status indicator, aura-t, auramode and aurastat controllers), or has the option of having an aura-t unit. Other benefits of the new unit include a low specific fan power (SFP) of 0.43 W/l/s, plus features such as a fully adjustable boost overrun timer, which can be used with a non-latching (momentary) switch to prevent the unit from accidentally being left in ‘boost’ mode. This is complemented by intelligent frost protection and independent fan adjustment. All models are volt free, with live switching control also on B models. The filters are ISO Coarse 65% (G4) supplied as standard, with the option of upgrading to the ISO Coarse 65% (F7) type. All models accept 200mm diameter ducting and are supplied complete with a 3-year guarantee as standard.